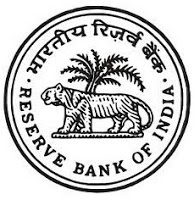 Reserve Bank of India has published the result of Phase-II (Main) Exam for the post of Direct Recruitment of Officers in Grade ‘B’ (General) - BY- 2018. The candidates who have cleared the Phase-II Exam can appear for the Interview. The interviews will begin tentatively from last week of October, 2018 and will end in January 2019. The interview call letters (with New Roll Numbers) indicating date, time and venue of the interview will be sent separately in Phases (in due course) on their registered email address. Candidates are requested to check their mailbox, including spam and junk box for the same. Note- Mark list & category wise cut - off for the above examination, will be displayed on website after completion of the selection process and declaration of final results of the recruitment. RTI queries regarding furnishing of Phase II Answer keys and dump keys for paper I (ESI) and Paper III (F&M) will be entertained only after the completion of the selection process and declaration of final results of this recruitment.